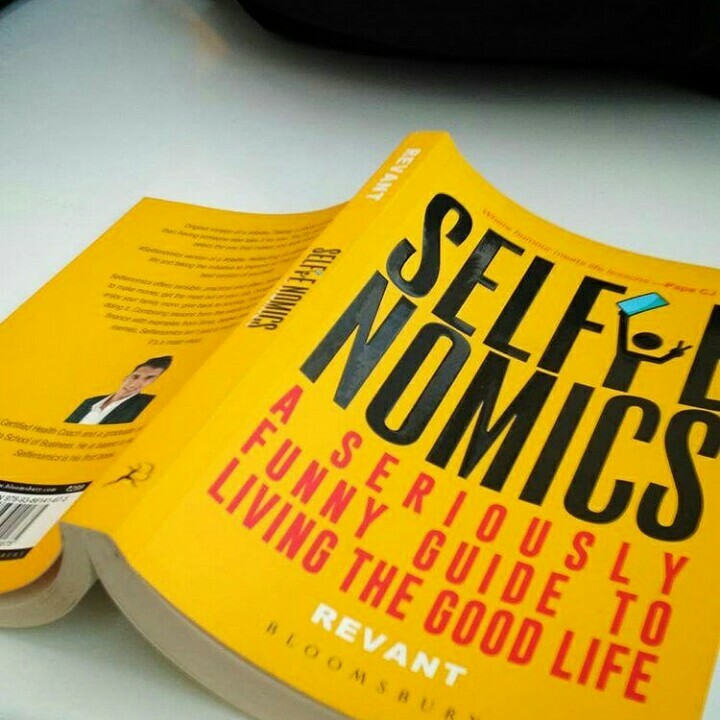 Blurb : Selfienomics offers sensible, practical and often hilarious advice on how to make money, get the most out of your job, broaden your network, enjoy your family more, give back to society, and how to have fun doing it. Combining lessons from the world of business and finance with examples from films, books and internet memes, Selfienomics isn’t just a must-read, it’s a mast-read. My view : To be honest, I dislike self-help books. I find most of them pretentious and over-the-top and unrealistically positive. So I was not quite sure if I would like Selfienomics when I read the genre it belonged to. However, right from reading the blurb of the book till the last page I have been floored by the comic timings and the highly practical sense of advice proposed throughout the book. Needless to say, that Selfienomics qualifies as my favorite self-help book. It has obviously given me the courage to pick up more books from this category. Selfienomics teaches us to find the balance in life: the balance between keeping others happy and keeping oneself happy. It draws parallels from TV shows, web series, books and real life scenarios, which is bound to instantly draw the generation towards it. The writing style is chilled and relaxed and is nothing like those preachy books that dwell on most of the Self-Help category shelves. Few things that I absolutely loved about the book were its easy classification and breaking down the perceptions of life into easy tables and charts. Revant goes on to say that occupation can fall into either one of these categories: Means to an End, Means as well as an end, An end itself and I found out that my job falls in the first category which invariably becomes the reason of my daily frustration. My favorite chapter from the book is “Stressed spelled backwards”. It is everything I needed to know before I would restrain my crazy mind from pushing me into a difficult-to-remember-the-name diet. His views on religion were extremely straight-forward and to the point. Some fanatics might be offended by his rationalism but let them be clouded in their muddled thoughts. Selfienomics is a book that you need to read to open your mind and detoxify the myths out of it. You need it to help you realize all that you already know.